I've wanted to go to Santa Fe for many years. 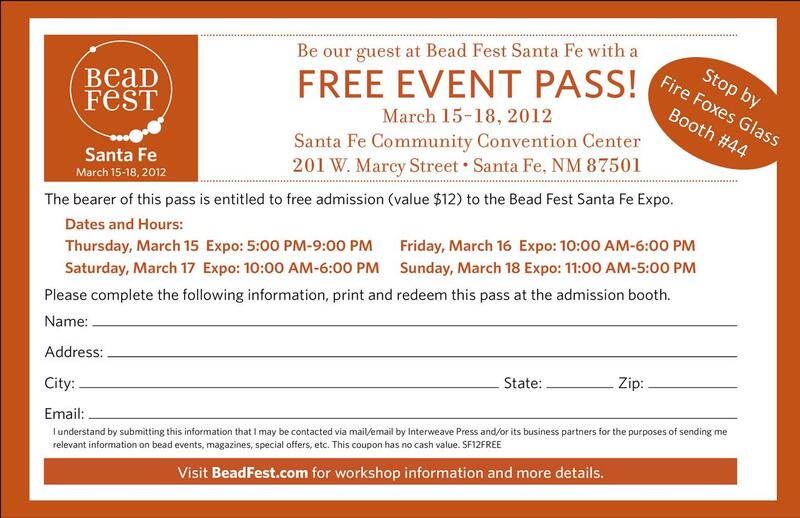 This year we're happy to be in the Bead Fest Santa Fe show. If any of you of you are going to be in town for the wonderful classes or shopping experience, or to see us, please feel free to print this coupon and give it to your beading friends and family. This promises to be a great show! Right click, choose "Open in New Window" then print.